Somehow I've ended up with three different Clio eyeliner versions. 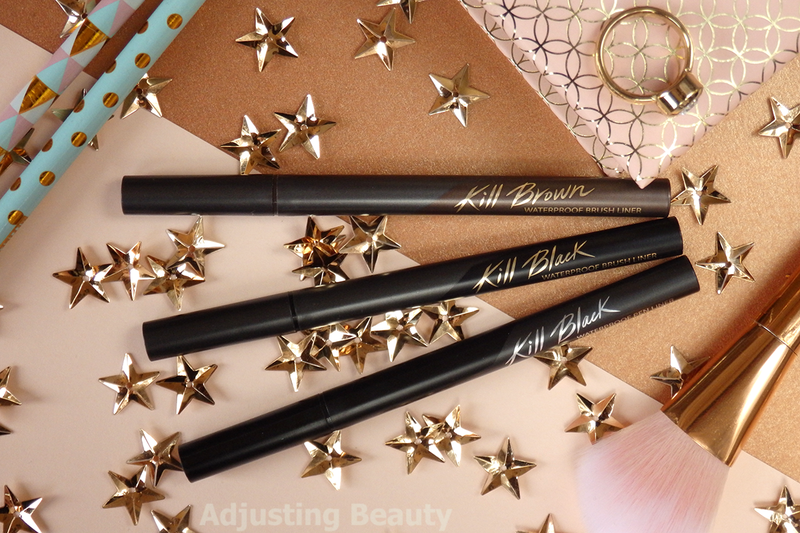 I first bought Clio Kill Black Waterproof Brush Liner version. Later I wanted to reorder it, but I ordered Clio Kill Brown Waterproof Brush Liner version instead. At the last try they actually sent me the wrong one, they sent me Clio Kill Black Waterproof Pen Liner version. It means I've ended up with three versions. Which is kind of good, because I can compare them now. They all come in a pen version packaging. Black colors are in black and brown has a brown packaging. Brush versions have gold writing on it and pen version has silver writing. They also have a really secure closing. It seems to have some sort of spring in the cap. I store these upside down, because that way I get the maximum pigmentation and prevent them from drying out. 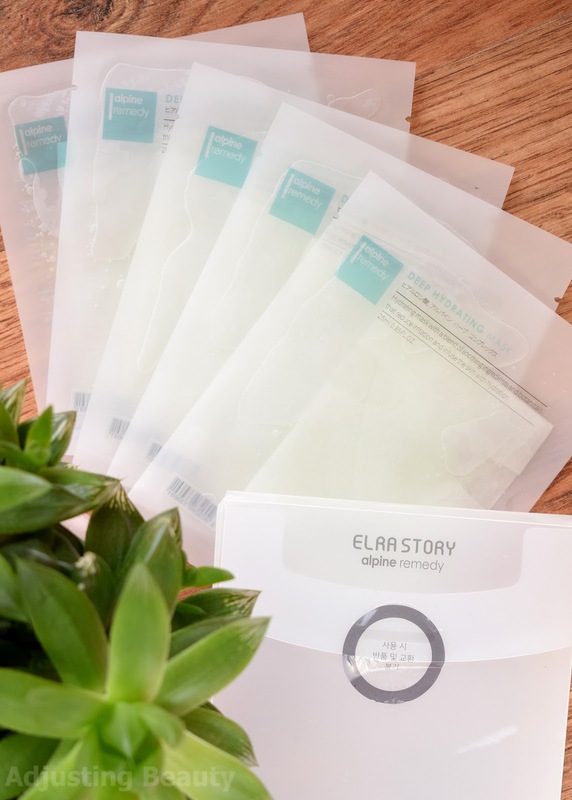 Each eyeliner comes packaged in a set. I got black brush versions with a mini fiber mascara that I already gave to someone, because I don't like these kind of mascaras. Brown brush version came with mini cleansing oil and black pen version came with duo makeup cleanser for lips and eyes. I haven't used any of these yet, because I don't use waterproof makeup, so I can't report on that. I ordered them all on Jolse. Clio is often on sale, so the prices vary. Usually you'll get brush versions for around 10$ and pen versions for around 9$. In each is 0.55 ml of products which sounds alarming, but it actually lasts a really long time. On the photo you may not notice much difference in the shades, but trust my word. Black pen version is actually the blackest of these and it's also the most shiny. It is a bit more liquid formula and it goes a bit into fine lines. 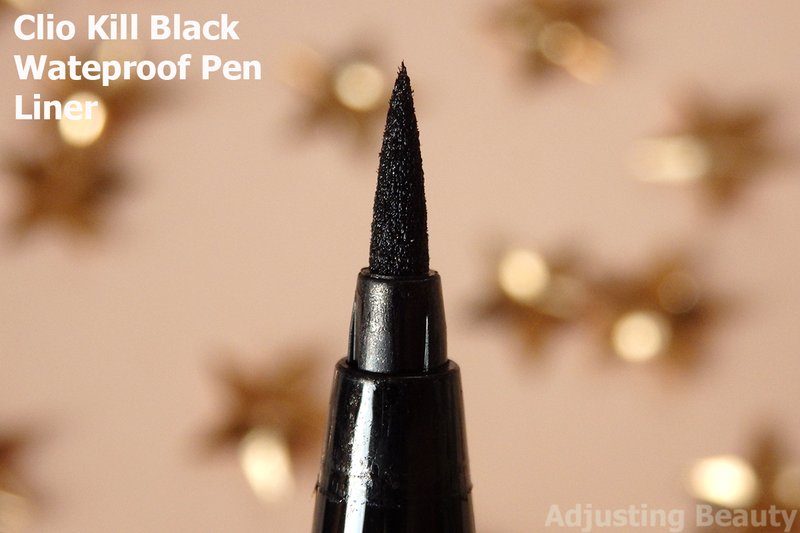 Like most of felt tip applicators this one also tends to leak a bit into those fine lines, but it's actually nothing too bad. It needs a few seconds to dry down. 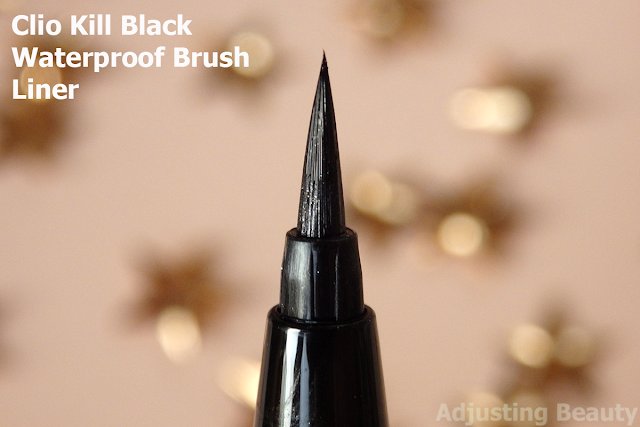 Black brush version is not the blackest shade of them. It's actually a bit less vibrant. It's also creamier and well pigmented. It dries really fast, faster than pen version. It's also more matte looking, though it still has a bit of sheen to it. 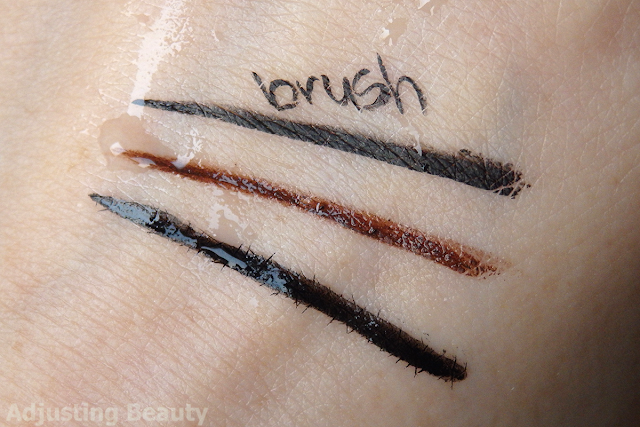 Brown brush version is less pigmented than the black. 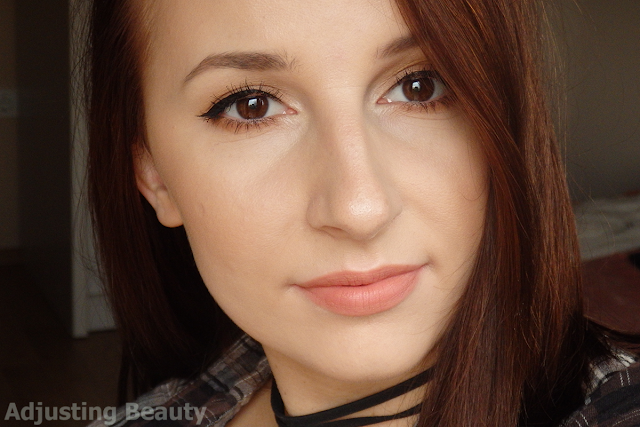 If you apply it really lightly it looks like a very warm medium brown. But I usually go over one line many times and then it becomes fairly dark almost a bit taupe brown. It also has a bit creamier formula and it dries really quick. This one looks the most matte out of these three. It doesn't have any apparent sheen to it. Black brush version has a super thin brush applicator. It's really fine and you can create the thinnest lines possible. I adore this type of applicator. 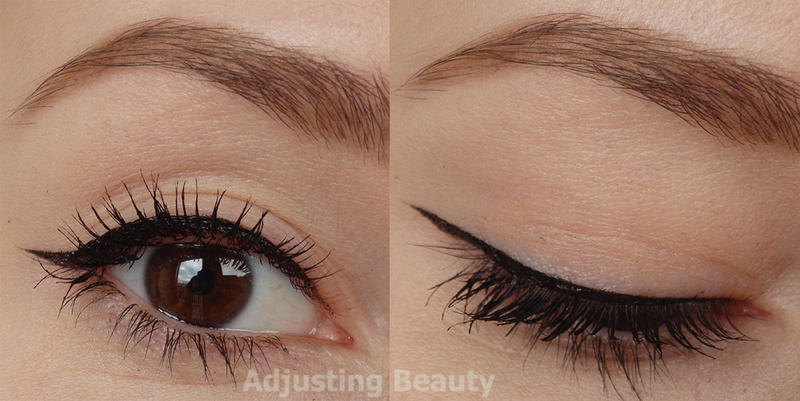 It gives you precision and you can create the thinnest wings. It gets dirty if you use it over shimmery eyeshadows and you'll need to clean it every now and then. 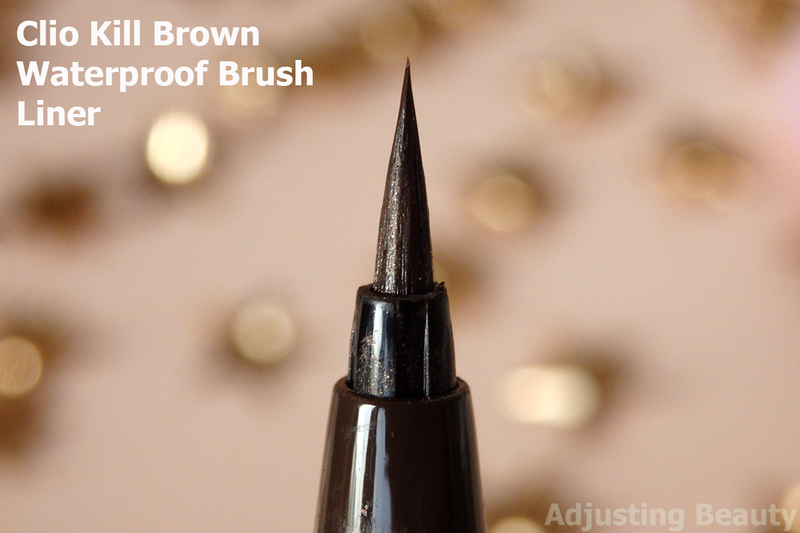 Brown brush version has the same precise brush applicator. It also gets dirty. This tip doesn't change shape or get frayed like some felt tips tend to do. Black pen version has a classic felt tip applicator. 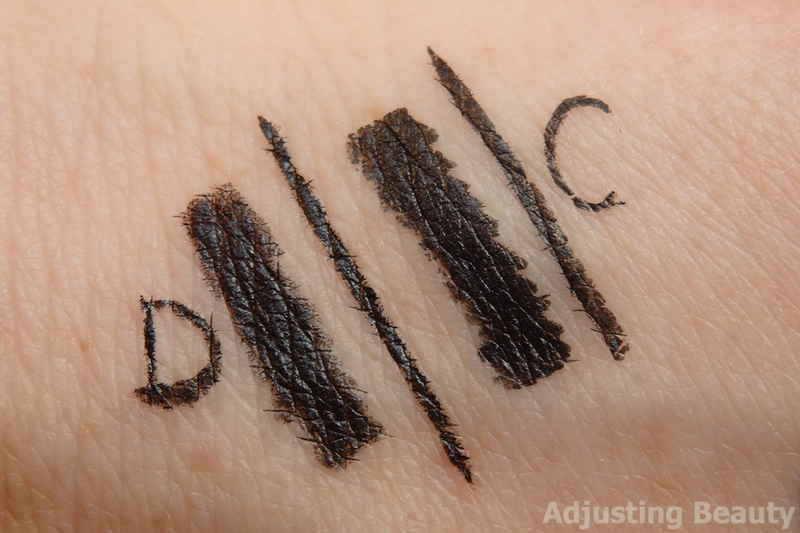 It's fairly thin and still precise, but not as much as the brush version. I find it hard to create really thin lines. I haven't been using this one for a long time, so I can't report how well it holds the shape, but I haven a feeling that it may fray after some time. It also gets dirty with shimmer, but it's easier to clean. These are definitely waterproof. I ran water over them and none moved at all. They also didn't loose intensity of the color. After running them under the water, I also rubbed it and as you can see, brown disappears quickly, but both black versions were still there, although brush version seemed to be a bit more long lasting. I can wear these for the whole day and they don't transfer, budge or fade at all. Sometimes shimmery shades cover the liner, because my eyes get hooded though the day, but other than that those are amazing. You can sweat and it won't move. I've mentioned that Diamond Beauty Eyeliner is my favorite eyeliner. As you can see it has pretty much identical brush applicator to Clio. Clio's seems just a tiny bit thicker, but they both perform amazingly. Diamond Beauty dried a bit too quickly for my liking. 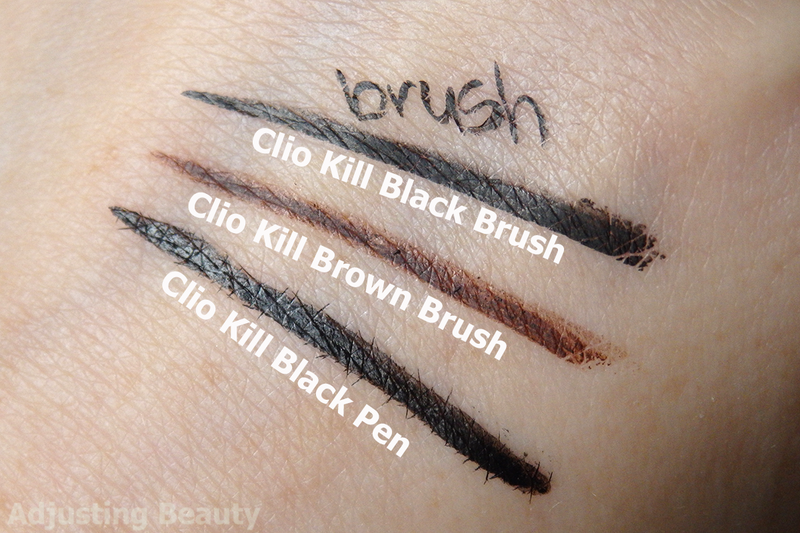 I have my first Clio Black Brush version since July and it's still going strong. I decide to change liners, because I have sensitive eyes. If you don't have this problems, it will last you for a really long time. 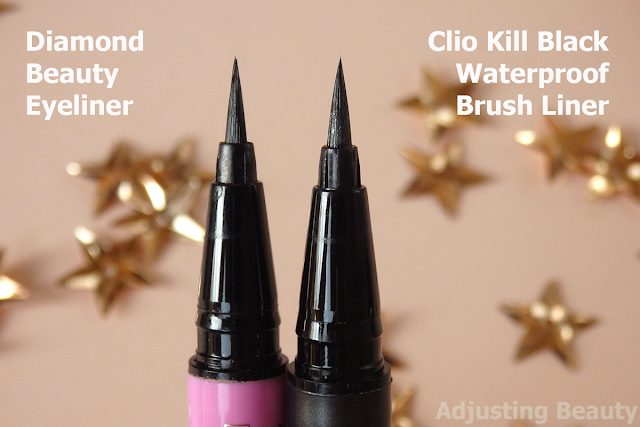 Texture of Diamond Beauty liner is very liquid compared to Clio. 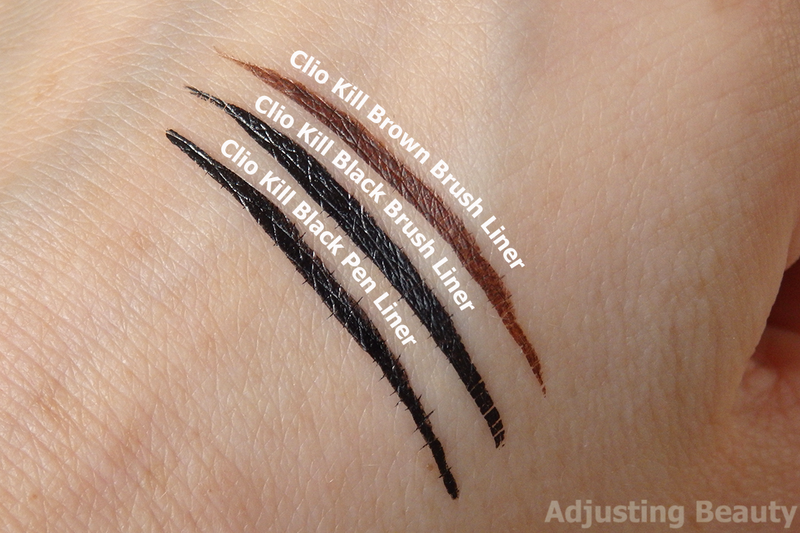 It almost seems like a marker liner and it's definitely not as pigmented as Clio. It also doesn't apply as evenly and it looks sheerer. It terms of shade those are comparable and both look like a bit less intense black version. 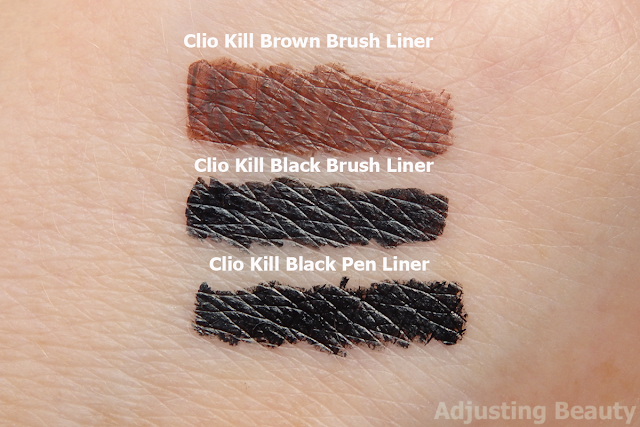 Clio eyeliners don't have any unpleasant scent and they don't irritate my eyes. 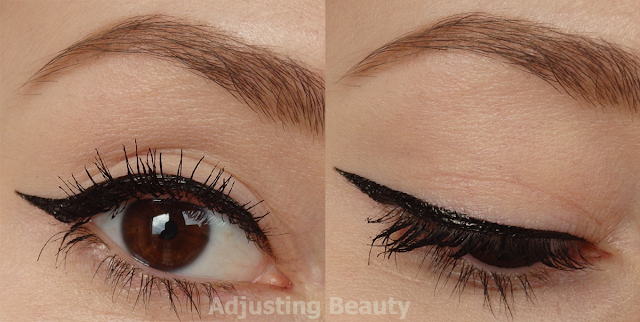 I think I have definitely found my favorite eyeliner. Black brush version is the best I've tried so far. 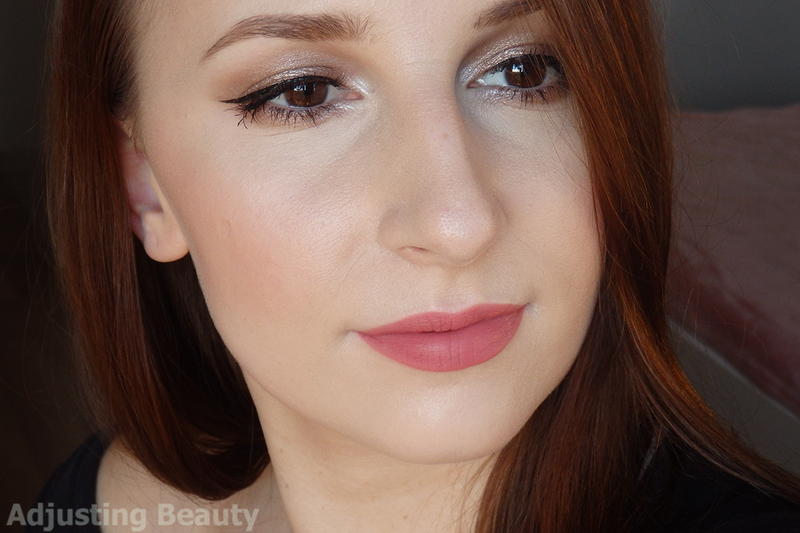 I love the brown as well, especially for softer looks, but wish it would be a bit more pigmented. Pen version is just as good, but I am not a fan of felt tip applicators. It's just the matter of applicator. 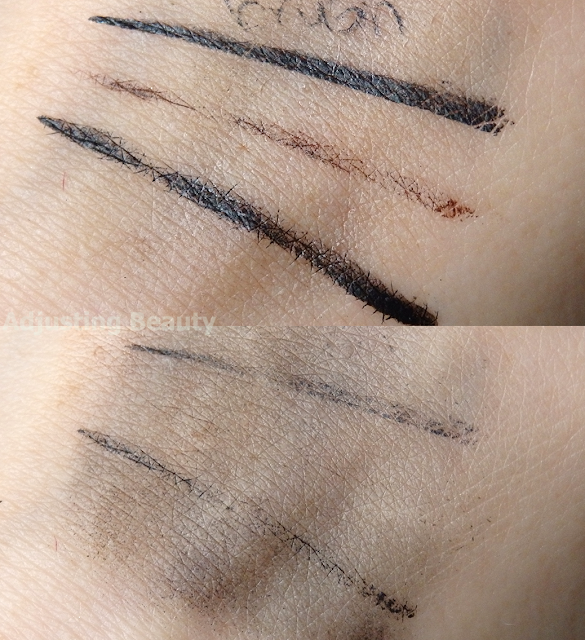 On the bottom photos I'm also showing you how they look like applied on my skin tone. First is black brush version, then brown brush version and the last one is black pen version. Clio Kill Black and Brown Brush Liners are definitely my favorite eyeliners. I adore precision of the brush applicator, long lasting power, the fact that they are waterproof, stay saturated for a really long time and have good pigmentation (brown a bit less). I also recommend pen version for those of you who like felt tip applicators. They also do brown in pen version. There's nothing bad to say about these. Some may found fault in the color, because black brush version is not the blackest black, but I don't mind them. I also think the price is reasonable for what you get. 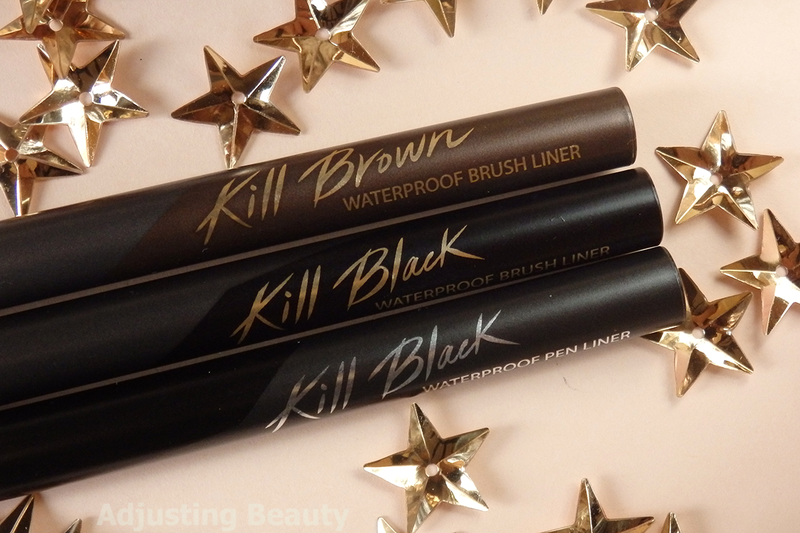 Highly recommend these, if you're an eyeliner lover. 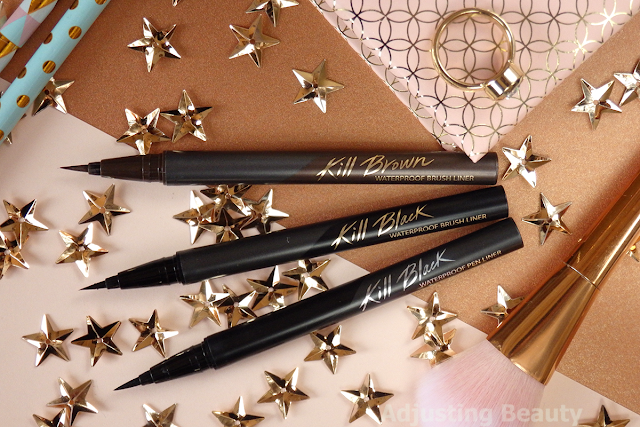 Nadja also wrote a review of black brush version and I advise you to read her thoughts as well for a second opinion. Uh, samo pol ml. So pa škrti. 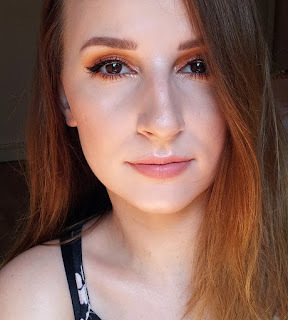 Brush verzija je podobna tistemu panda eyelinerju. Predvidevam, da bi mi bil zelo všeč :) Imam že itak na wishlisti odkar si ga prvič omenila. Prej niti nisem gledala koliko je not. Zdaj ko sem pisala oceno, sem bila kar šokirana. Ampak sploh ne bi opazila ker res ful dolgo zdrži. Sem ti na Instagram poslala swatcha od obeh. Clio je še bolj pigmentiran in ima lepšo konico. I think you'd like it :). Obožujem ta brush aplikator. Čeprav me včasih iritira, ker je že preveč natančen in moram biti tudi sama, ko ga nanašam :D.
Tebi bi verjetno rjav še bolj pasal, ker imaš svetle oke. Mi je definitivno všeč odtenek. Sama ga rada kombiniram s toplimi senčili. Je pa škoda, da ni tako zelo pigmentiran kot črn. Looks awesome eyeliner. Loved it. Nice review. Thank you :). The brush version is super precise. I really like it.